In many ways, Henry is an unlikely candidate for mainline K-pop stardom. He’s a classical violinist, not a singer, and he’s promoting as a solo artist in a time when idol groups are the flavor du jour. Henry isn’t even Korean — making the young Taiwanese-Canadian one of the few foreign stars to maintain a successful solo career in Korea. It’s this point that has arguably contributed the most to his rising popularity; his made-for-variety character on Real Men is one of a bumbling but nonetheless earnestly diligent foreigner, whose cluelessness towards Korea’s army lifestyle has (fortunately) so far been viewed by Korean audiences as being cute and endearing, rather than ignorant or disrespectful. Henry seems to be taking his new variety image in stride, having commented on an episode of Quiz to Change the World that despite having to navigate the rough conditions of army life as a foreigner, he found it in him to persevere knowing that his antics on television could make people smile. His outlook on life as an entertainer is strikingly sensible for someone who’s still a fresh face in the variety circuit — although one wonders if his idealism is borne from the naivete of being a newcomer to mainline K-pop, or the maturity of playing host to a tumultuous, seven-year long career that has taken him from unwelcomed outcast to unlikely superstar. 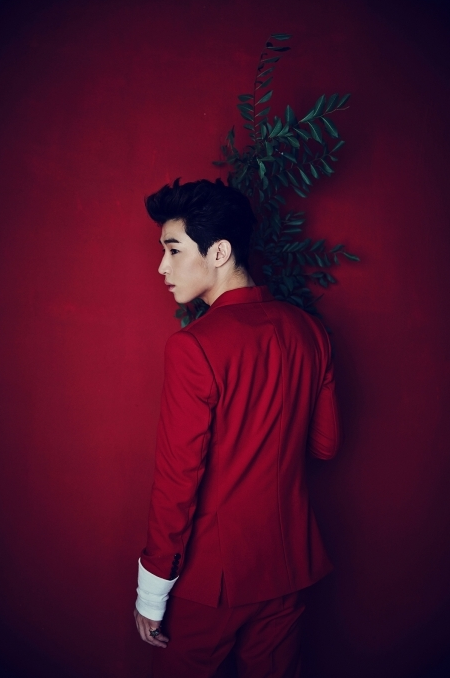 Nevertheless, Henry appears determined to reclaim his original identity through this comeback. Compared to his debut mini album, the concept for Fantastic is sleek and serious, with just the right touch of charisma. 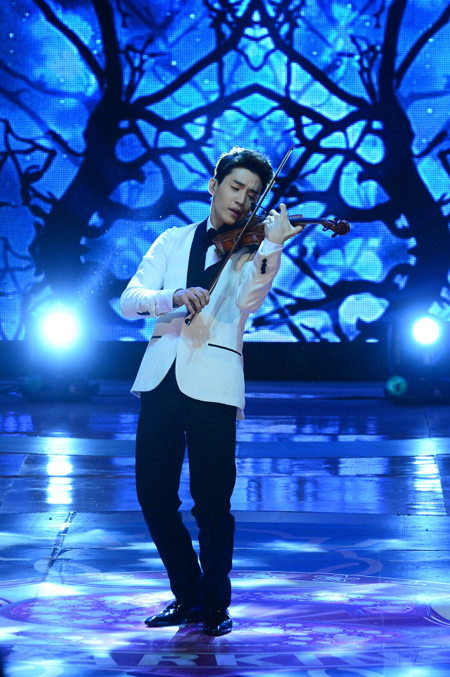 And with a title track driven by Henry’s performance on the violin, audiences are served a stern, almost aggressive reminder that, all jokes aside, the real Henry is someone who takes his craft and passion seriously. But while there’s much about the title track’s promotion that is over-the-top excessive — after all, how many backup cellists does one guy need? — the rest of Fantastic bears a subtler, more understated presentation. It’s an album that is sonically modest, with little heed paid to the latest trends in pop-electronic-what-have-you. With four out of six tracks credited to Noizebank, Henry’s production team, Fantastic feels less like a standalone piece of musical fashion; rather, it resembles the next volume in Noizebank’s portfolio — a sampling platter showcasing the latest in the production team’s technical abilities and artistic growth. That’s clear from the album’s second track, “Bad Girl,” a jazzy neo-soul number that sounds like a fuller-bodied Groove Theory jam. It features a solid vocal line delivered with a crisp punchiness, along with a fairly negligible 10-second rap appearance by Exo’s Chanyeol. It’s a track that feels completely expected from the Berklee-trained production team, but “Bad Girl” is the farthest that Noizebank has ventured from its previous safehouse of electronic bubblegum pop. “Need You Now” is an obvious nod to the pop acoustic stylings of Bruno Mars and Jason Mraz; a sonic outlier on an album that is overwhelmingly electronic-heavy. The tracklist yanks the listener around another sharp curve with “Saturday,” an unexpected disco-inspired track that sounds like a grown-up sequel to “Holiday,” from Henry’s debut album. “Butterfly” is a pleasant, coffee-shop duet that features Seul-gi from SM Rookies. The uptempo ballad narrowly escapes saccharine-drenched cliche with its surprisingly invigorating rap break, with a bass line that closely resembles an improvised jazz solo, putting a unique, vintage spin on the otherwise unremarkable track. “You” is another surprise — a classic R&B ballad that, again, is a new sound offering from Noizebank. The instrumentation, while not particularly innovative, is strictly R&B to the letter while sprinkling the verses with small, thoughtful decorative touches. Nevertheless, the song fails to reach its full potential due to a rather lackluster vocal delivery by Henry. Much like his performance on “I Would” from Trap, Henry’s voice is ill-fitting to the slower pace of “You,” at times proving shrill and incongruous to the song’s contemplative mood. Despite having built his previous musical identity on something other than singing, the idea of Henry becoming a vocalist is one that many have easily accepted without much thought or provocation. After all, the bigger picture almost demands listeners to accept it as a means to an end: as a producer-hopeful who’s always had a good handle on his own artistic vision and has actively pursued the means to carry it out, it seems natural for him to pursue a solo career — talented singer or not. However, the biggest criticism of Henry’s solo career remains that for all his musical skill, Henry just isn’t a strong vocalist. In some ways, Henry’s existence as a solo artist might challenge previous assumptions that a pop soloist’s talent lies primarily in their singing abilities. Indeed, Henry’s richly endowed skill set seems to cover virtually everywhere else — but as a recording artist, the criticisms towards his voice are difficult to overlook. There’s a lot that could be said about vocal pedagogy and the flaws of Henry’s current vocal technique, but it’d be foolhardy to assume that Henry just isn’t cut out to be a good vocalist. Rather, after two mini albums and plenty of opportunities to prove his vocal skills, it seems that Henry’s voice is simply a square peg that’s been forced into too many round holes. Take this album’s title track, for instance: the vocal line of “Fantastic” lacks flow and includes some awkward modal transitions that make it difficult for the listener to latch onto the song. It’s extremely linear and has no climax, with a weak bridge that seems to only exist for the sake of existing. The instrumental, however, is invigorating, bold, and complex, far exceeding that of “Trap” in musical innovation. The instrumentation of “Fantastic” is deserving of a far better vocal line — one that takes as many dramatic dives, turns, and swells as its instrumental counterpart. But whether or not Henry would be able to execute such a vocal line is a separate question. In the end, the quality of the song suffers because Henry lacks the vocal range, skill, and color to pull off the vocal line that this song is meant to have. Even as early as 2009, Henry’s voice — albeit lower and less polished — had much more character and depth. Although it’s difficult to judge with so few clips of him singing from this period, Henry arguably had one of the most unique voices amongst his peers at the time. Only after Henry started trying to rapidly extend his range upwards did his voice begin to adopt the shrill, nasally quality that’s become omnipresent in his solo music. Producing original music for an K-pop idol market demands that the songs be written in a K-pop idol key — which, for Henry, tends to lie outside of his supported range and forces him to sing in a strained, thin tone. It stands to question why in the world K-pop idol music needs to be so damn high, and why a solo artist like Henry would need to drastically alter his voice in order to sing his own music. 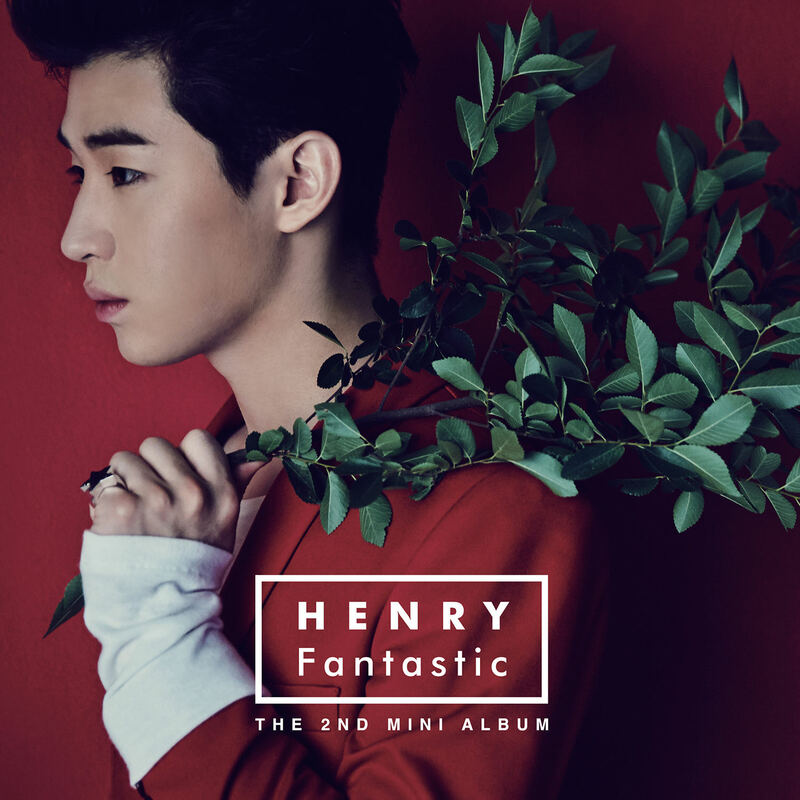 And indeed, the problems surrounding Henry’s vocal aesthetics would be a field day for critics — that is, if the K-pop idol market wasn’t so welcoming to him already. From looks, dancing, variety skills, fluency in multiple languages, and newfound popularity — Henry finally has everything it takes to become a real K-pop idol, rather than a controversial addition to a boy group already 13 members strong. In light of this, it seems fair that audiences turn a blind eye to Henry’s weaknesses as a vocalist. And in the context of Henry’s long-term success as a musician and, yes, a K-pop idol, it is fair — though at the price of wasted potential. But if anything, the music on Fantastic shows that there’s still plenty of room for Henry to grow and change. This mini album, while still a solid piece of work, is far from being his piece de resistance — and thank goodness for that. With what he’s accomplished at his young age, it’s exciting to think where he’ll be ten, twenty years from now — whether he’s destined for lifelong stardom on the big stage, or an eventual career behind-the-scenes as a full time producer. But for now, he’s Henry, the unlikely K-pop idol, and he just wants to make people smile.